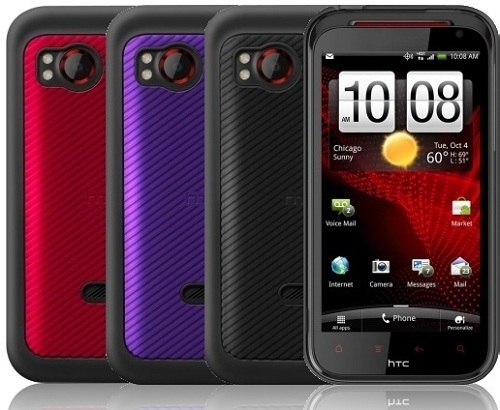 Is there an HTC Rezound in my future? Today, I caught a live blog from the launch of the HTC Rezound. I’ve been a huge fan of HTC phones since the original touch and my interest was really piqued by the fact that the sound on this phone is enhanced by Beats by Dre and the phone includes a custom set of headphones. The only disappointing news about the phone is that it will ship with gingerbread and not ice cream sandwich (the latest version of android), but HTC says that the phones will be ics ready and that an update will be available at the beginning of the year. Specs: 4.3-inch 720p HD touch display, 1.5 GHz dual-core processor, 32 GB internal storage (including SD), 1 GB RAM. 8MP camera shoots 1080p HD video with instant capture, panorama, and action burst. I think the action burst allows slow motion. There are also supposed to be photo editing features available, which I’m sure has nothing to do with that commercial for that other phone where people fix red-eye photos. The price of the phone is expected to be 300 with a verizon contract, so I will definitely be testing one (thoroughly) before buying one. I will also be looking at um, ways to get around that price.